The University of Oregon is announcing its latest investment to support student success as part of the Oregon Commitment, an initiative first announced by President Michael Schill in fall 2015. The UO will hire an additional 23 advisers in the coming months as part of the comprehensive effort to strengthen student advising and career counseling, enhance student success, and improve on-time graduation. The additional advisers will work in the new Tykeson Hall College and Careers Building, which is under construction near the center of campus and set to open in fall 2019. 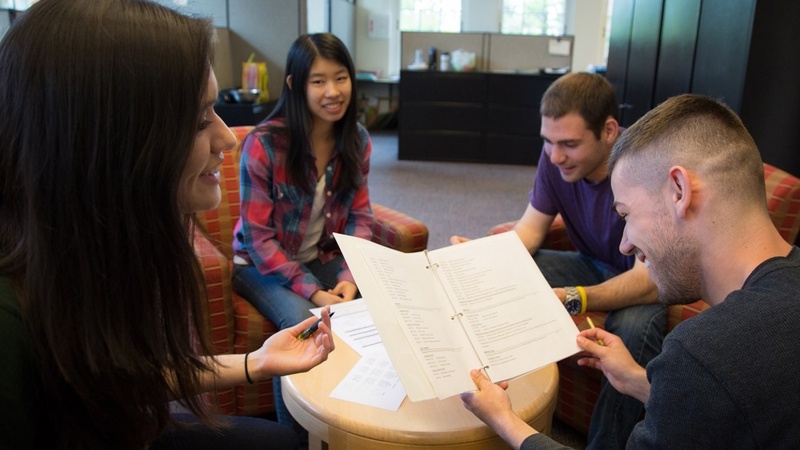 The opening of Tykeson Hall will launch a new system of advising on campus that integrates academic and career advising and addresses the mission to enhance student success in ways that the UO has never seen before. “As we re-envision academic and career advising at the UO, we have a tremendous opportunity to transform the ways in which we help our students define and achieve their goals,” said Doneka Scott, associate vice provost for student success, about the start of a novel comprehensive advising model. In addition to increasing the number of advisers, a component of the new advising model includes grouping students around thematic areas of interest. These areas will assist advisers in understanding the types of careers students are interested in pursuing and how to align their academic paths to accomplish their career goals. The “On Track. On Time” initiative is another tool students will have as they work to accomplish their goals. Supported by the Division of Undergraduate Studies, the Registrar’s Office and the Office of Information Services, “On Track. On Time” is a comprehensive guide to assist students on their academic path to graduate on the timeline of their schools or colleges, note milestones and serve as a resource to students seeking assistance, academically and otherwise. The term “exploring” also reflects the thematic approach to student pathways to success being put in place through Tykeson Hall. Additionally, the timeline for when students should declare majors also was revised. Previously, students didn’t need to designate a major until later in their college careers, but as of last fall, students who have not declared a major by the conclusion of their sixth term will need to see an adviser to ensure they are on a path to reach their goals. “The idea wasn’t to force declaration at a particular time but was to say, ‘You need to have a conversation with someone,’” Bramhall said. Since Schill first announced the Oregon Commitment almost three years ago, the university has increased the number of PathwayOregon scholarship recipients, hired a dedicated student success leader, increased the number of advisers and invested in predictive software to help identify and help students who are struggling.